FC Barcelona Lassa and Chris Singleton have reached an agreement for the American power forward/centre, 28 years of age and 2.06 metres tall, to play for the club in the 2018/19 season, pending a medical examination. Considered one of the finest players in his position in the Euroleague, Singleton arrives from Panathinaikos, where he spent the last two seasons winning two Greek leagues (2017 & 2018) one Greek cup (2018). 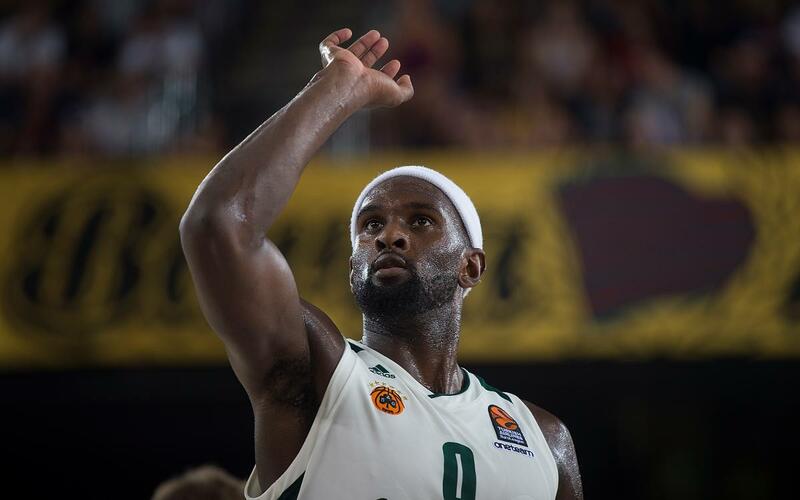 Singleton was previously at Lokomotiv Kuban, and has played in 98 Euroleague games in his time, averaging 26 minutes, 10.3 points and 5.4 rebounds. He is notably intense on court and has averaged 43.6% and 46.1% in 3-point attempts in his last two years. Before coming to Europe, he was at Florida State University from 2008-11. He was an 18th pick in the 2001 NBA Draft by the Washington Wizards, where he spent three seasons (2011-14) playing more than 140 games. In 2014/15, he was at the Dragons Nianjing in China (22-5 points a game) before returning to the US and the Oklahoma City Blue of the NBA Development League. In 2015 he joined Lokomotiv Kuban in Russia, where he ended up appearing in the Euroleague Final Four. From June to September 2016, Singleton went to Anhui Wenyi in the Chinese second division, helping them to promotion and winning the MVP with his 25.2 points). It was from there that he switched to Athens and two years on the books at Panathinaikos.